Energy drinks: what's the evidence? 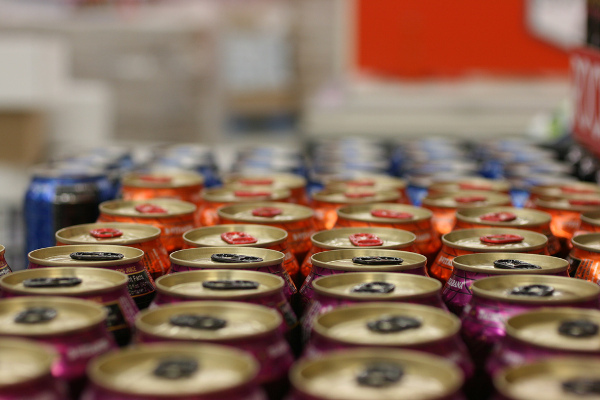 The UK and many other countries have seen a rapid rise in the per capita consumption of energy drinks in the last few years. Energy drinks (soft drinks containing more than 150mg of caffeine per litre) are made up of water, caffeine, sugar and a range of additives and flavourings. 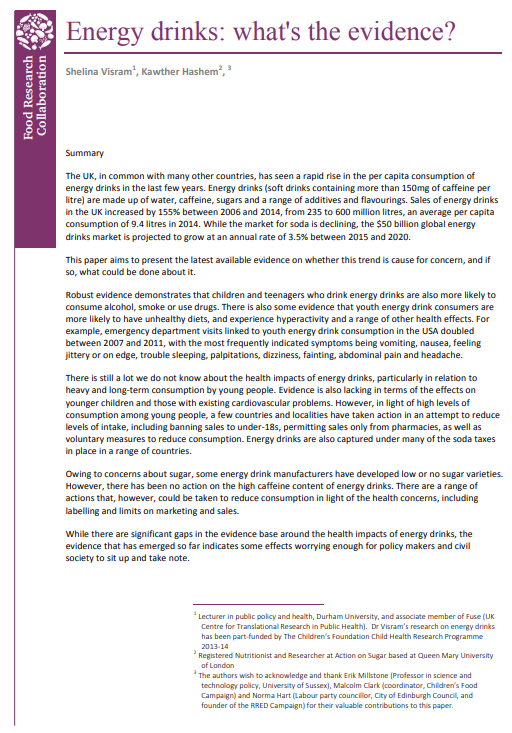 Sales of energy drinks in the UK increased by 155% between 2006 and 2014, from 235 to 600 million litres, an average per capita consumption of 9.4 litres in 2014. While the market for soda is declining, the $50 billion global energy drinks market is projected to grow at an annual rate of 3.5% between 2015 and 2020. This paper aims to present the latest available evidence on whether this trend is cause for concern, and if so, what could be done about it.